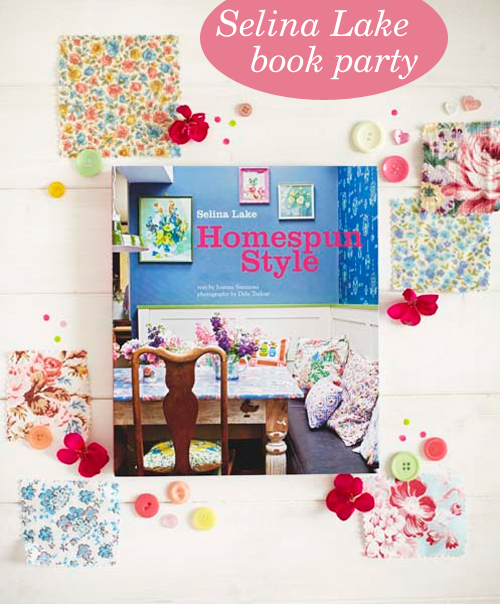 Lovely Selina will be hosting the 'Homespun Book Party & Homespun Market Event' on Friday 13th April (2pm - 8pm) at Hanbury Hall near Brick lane in the heart of the eclectic Spitalfields area of East London. So exciting! I love the idea of having the book signing in the midst of a bustling wee market especially when you see the list of stallholders Selina has handpicked - Folly & Glee, Catherine Hammerton, Papermash, Ted & Agnes, Abigail Brown, Clare Nicolson and many more including yours truly... eek! Where do I start!? I am so excited about doing this for so many reasons... firstly for actually being invited by dear Selina, thank you gorgeous lady!!! Of course I'll get to meet Selina herself and all those other fabulous and talented ladies which is going to be incredible, not to mention getting to see some of their wonderful work for real... I'll be saving all my pennies for some handmade goodness! Not only that but some of the wonderful homeowners featured in the book will also be stopping by including the incredibly talented Jeanette Lunde of BY FRYD! 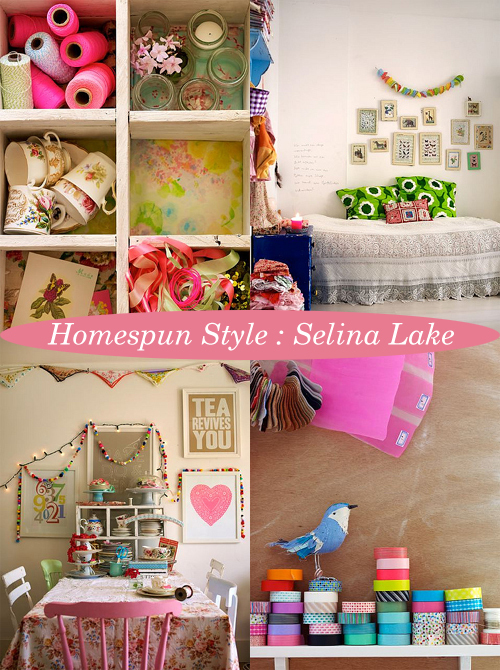 Then there is the fun of the day itself... Selina is planning to decorate the hall in her own 'homespun style' and I am assured there will be lots of homemade cakes and glasses of fizz... Phew! Emma, This is fabulous! I saw the book in Waterstone's last week and it is sooooo gorgeous! The book party will be wonderful. You deserve to be there! The party sounds like so much fun! I wish I were in the area ... that's actually my birthday too! What a fantastic opportunity for you - it will such a great day! Need someone to carry your bags?! Can't wait to get my copy of Selina's book... I have leafed through already and it's wonderful! This makes me wish I was living in London again! I would have loved to have been able to check it out in the flesh!